Silver Ninja Razor Blade Sword | BUDK.com - Knives & Swords At The Lowest Prices! 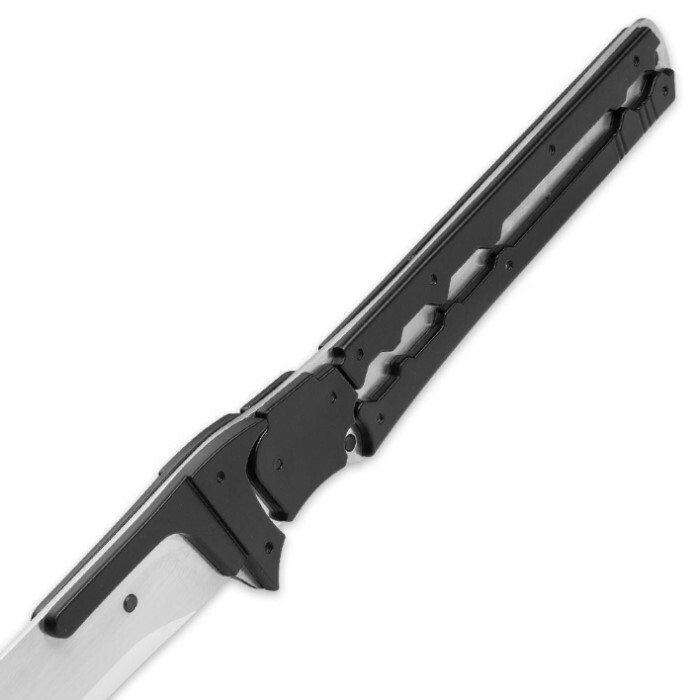 Our Silver Ninja Razor Blade Sword has the sharp, sleek look of a razor blade from handle to point. 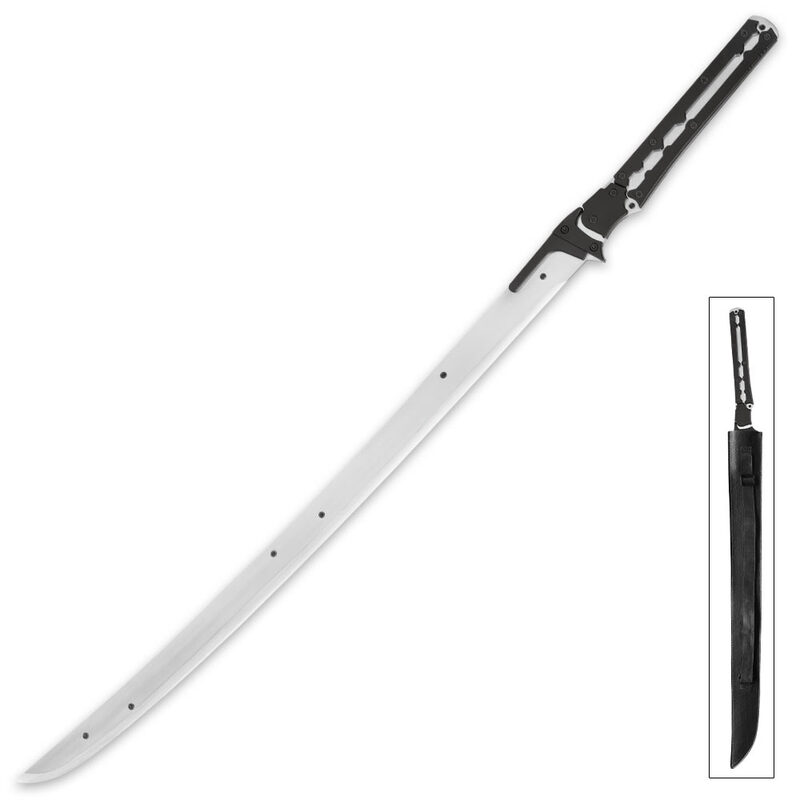 The 28” full-tang, stainless steel blade has a satin finish. The metal alloy handle features a cut-out design, which showcases the full tang of the blade and is one of the design elements which gives this sword its razor blade look. 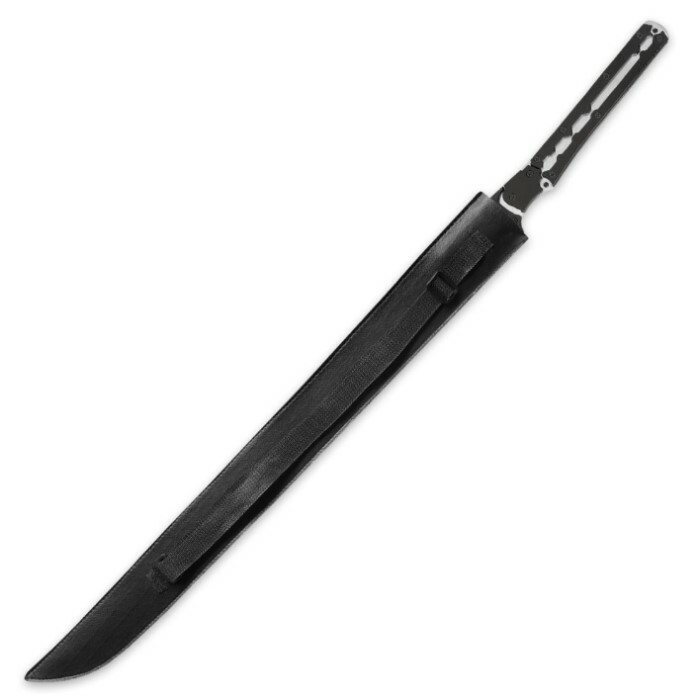 A leather sheath with a strap is included so that the sword can be slung across your back with ease. A modern masterpiece, our Ninja Razor Blade Sword is a must-have addition to your collection!